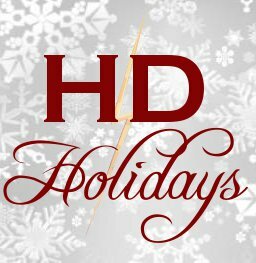 hd_holidays is a holiday exchange of Harry/Draco fiction and artwork! Yes, yes... there are other holiday exchanges. However, this one is exclusively for Harry/Draco fans. Note: For stormwynd - happy holidays! Pictures are work safe, but may not be dial-up friendly! Absolutely stunning! I'm in awe of your technique. With just a tilt of Harry's head and Draco's upward glance your are able to say so much. Draco's trembling, isn't he? I wonder if they are about to kiss. The scene by the lake is gorgeous too. Thank you :-) So glad that the images alone did the job. Draco could be trembling, and I also hope that they'd kiss. (Who doesn't? *g*) I haven't done any landscape for a long time, so I'm glad that the lake scene looked okay and that you liked it as well. Absolutely gorgeous. Your work always makes me all trembly inside, I could sit and stare at them for hours. Beautiful and epxressive and just amazing. Gorgeous as always -- no one captures faces and moods quite the way you do! Heh--no concrit this time. Absolutely none! Their expressions are so intense, full of emotion and life. The touching hands, with fingers intertwined--beautiful! And the reflection in the water--stunning. Caught my eye and I had to stop scrolling and just STARE. I like how there's no colour, and then there's this explosion of colour of the lake, and then how it's seeped into them just lightly. And I LOVE your sky in #3; it really does well to mirror their own warring personalities. Now, whether or not you meant it like that, it's how I've perceived it. And... is that a teardrop from Harry's face in #9? Or a drop of sweat? I love having the boys wearing school uniform, even though I always find myself having trouble drawing ties and collars. The hands actually gave me some trouble, but I'm glad that I decided to draw them nonetheless. The landscapes turned out to be the ones I'm the least satisfied with, which means I should stop procrastinating and start to work on them. I actually quite like the Harry and Draco's expressions, and I'm glad that you liked them as well. I'm relieved that the b&w -> color transition wasn't too weird. And the angry sky in #3 -> clear sky in #7 too. Glad that you didn't find them odd. I can't tell you how much I love #9. The tie, his hair, the sliver of green: it's such a beautiful snapshot. And #6! I love how you positioned their brooms to look like wings. Glad to hear that you liked #9. It's also my favorite. As for #6, I didn't intentionally positioned them to look like wings but somehow I did it, and I'm glad that you liked the way they looked. Thank you! These are all wonderful! I especially like #2, the expression is so intense. Beautiful! Yeah, everybody knows this is mine. I hope I won't get rejected by other anon exchanges because of my style being too recognizable.